Friendly service and quality furniture have kept this locally owned business thriving for 90 years. Meet the family behind this Rockford-based company and find out how the next generation is evolving with the times. 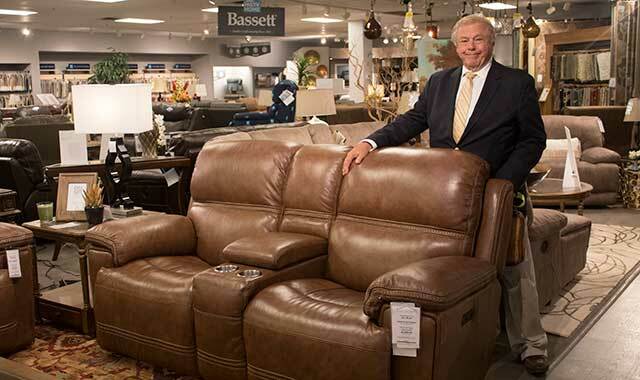 Gustafson’s is part of the country’s largest furniture-buying organization, enabling Gustafson’s to purchase with more than 500 stores and pass cost savings on to customers. It’s all about family at Gustafson’s Furniture & Mattress, and it’s been that way for 90 years. Dale credits his ability to make customers happy as a big reason why the company has remained successful for nearly a century. And with two determined sons coming up in the industry, it looks like this family-owned business will be around for awhile. Located at 6651 E. State St., in the midst of national retail chains, sits Gustafson’s, a furniture store that has stayed true to its hometown of Rockford. And it’s all thanks to Dale’s father, Martin, who passed on everything he knew about the retail business. Martin grew up in Stillman Valley, Ill. When his dad died of pneumonia, his mother raised him and his 10 siblings by herself. On a quest to make a living for himself, but armed with just an eighth-grade education, Martin started selling mothballs and vacuums door-to-door. On Feb. 14, 1928, Martin opened his own business on Seventh Street in Rockford. After briefly serving in the U.S. Navy, Dale decided to follow in his father’s footsteps and joined the furniture business. But he had to work his way up over time. He started as a salesman before taking over the company when he was just 26. Working side-by-side with his father, Dale learned the business firsthand. Martin struggled with various health problems for several years before he died in 1985. Probably the biggest piece of advice Dale took from him is the importance of customer service. That’s the philosophy that Dale uses every day. He knows in order to run a successful business, the customer has to be happy. Since his two sons, David and Chris, have taken on larger roles in overseeing the business, Dale is confident the company will live on as he considers retiring. David oversees marketing and social media at Gustafson’s, while Chris deals with store operations and human resources. Chris is also eager to learn the ropes. He wants to continue learning what he can about business operations and customer service. He’s getting tips from his dad, but he’s also considering taking some college classes. Dave and Chris both say they won’t make any major changes to Gustafson’s going forward. They just plan to be more engaged with their customers. Gustafson’s has an annual customer appreciation event on July 4, and David says they’ll keep that going. The store also has an ongoing 90th anniversary sweepstakes, where customers can sign up in the store to win prizes. Another way Chris and David plan to interact with customers is by getting more involved in the community. They want to participate in more charity work around the area and get more involved with local entities like the Salvation Army. This is something Gustafson’s has done in the past. When tornadoes ripped through the small town of Washington, Ill. four years ago, Gustafson’s showed up with supplies. Since Gustafson’s continues to grow, the need for experienced sales reps also increases. Despite that, people who work at Gustafson’s tend to stay there. Dale says the business has very little turnover. His sons might be taking over, but Dale still makes his presence known in the store. He gets around the store on a scooter, he greets his customers and he’s always telling jokes. The family dog, a mini goldendoodle, sometimes follows closely behind. In 1998, after spending more than six decades on Seventh Street, Gustafson’s moved its operations to 808 W. Riverside Blvd., in the former 109,000 square-foot Bergner’s store at North Towne Mall. The store outgrew the space, so in 2015, the business purchased the former American TV & Appliance location on East State Street and established a second store. The family wanted to consolidate two stores into one, so they recently closed the Riverside Boulevard location. Now, all of Gustafson’s operations are housed under one roof in the centralized, 97,000 square-foot State Street store. It’s fairly close to Interstate 90, so Dale says Gustafson’s is easily accessible for guests who visit the business from out of town. Since the owners of neighboring Monkey Joe’s closed their doors earlier this spring, that storefront provided Gustafson’s with extra storage space. By building their own inventory, Gustafson’s is able to get merchandise out to their customers much quicker. Chris is hoping that one store will allow Gustafson’s to easily cater to the public. “We’re putting our heart and soul into this store and to this portion of the shopping community,” Chris says. Trina also gets involved in the family act. After working as a banker and as a teacher at Beyer Elementary School in Rockford, she came onboard nearly 25 years ago as Gustufson’s chief financial officer. But, there’s much more to her role in the company. Among other things, Trina is in charge of scouring the country to purchase the latest and greatest pieces of furniture to sell in the store. David says his mom is a trendsetter when it comes to selecting the latest furniture trends for the business. Gustafson’s is part of the Furniture First Buying Group, the largest furniture-buying organization in the nation. It allows them to purchase with more than 500 stores. This technique lets each store lower its costs through volume purchasing. Furniture is pretty much an extension of the fashion industry, David says. Everyone wants to follow the latest trends. No matter what type of furniture is on the floor, Trina wants to make sure the sales staff know what they’re selling. Dale says that, on average, across the nation, about 11 percent of all merchandise breaks in the first year for one reason or another. So, Trina looks for durable, long-lasting items that can last for several years. With 90 years and counting, Gustafson’s Furniture & Mattress has become synonymous with endurance, integrity and plain-good products. 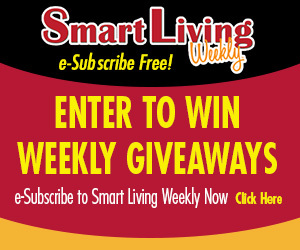 This entry was posted on Tuesday, October 23rd, 2018 at 12:00 pm	and is filed under Home & Garden, Top Posts. You can follow any responses to this entry through the RSS 2.0 feed. Both comments and pings are currently closed.